This entry was posted in Racial Indianhood, Science, War and tagged Skidi Pawnee, White Fox. How can one obtain the English translation of the finished article? Kathy: Sorry to take so long to respond! The translation was provided by a colleague from Sweden who hasn’t made it available to the public. I will mention your question to her and will post again here in the future if it does become available. Also, Dan Jibréus showed me a partial translation of an expanded version of his paper, and he might someday produce a complete translation of it. I’d just like you to know that a book in Swedish (which is an expanded version of the mentioned article) is being published right now and may be ordered from me directly. Yet another version, called “The Long Journey of White Fox”, which is an abridgement of the Swedish book will be published in the Summer 2014 issue of Nebraska History. I was hoping to one day see you write about this complicated and painful matter. You were able to put into coherent words, what I just touched on in a muddled way in my thoughts while reading about White Fox and how the Pawnees were seen back then. How race was a construction that can be highly manipulated and therefore also highly dubious. Thanks you for this interesting piece. I truly hope that Karolinska will do what is right in regards to the regalia. After analyzing the portrait and the corresponding file card, I think there was some confusion about the age and identity of these men. The file card explicitly states the identity and respective age of these men in the usual order from left to right as follows: Red Fox, age 37, White Fox, age 28 and White Eagle, age 31. Actually White Eagle was the elder of the two Skiri brothers from a hereditary chiefly line from Pumpkin-Vine Village, born abt. 1836, while his younger brother Red Fox aka John Box was eight years his junior, born abt. 1844. Comparing this portrait with some existing images of the aging brothers two or three decades later, I think the order was reverse and that the man on the left with the Catlinite pipe is White Eagle, an already established Skiri leader at the time when this picture was taken; and that the taller man with the straight hair on the right, whose facial features are barely recognizable, is actually John Box. 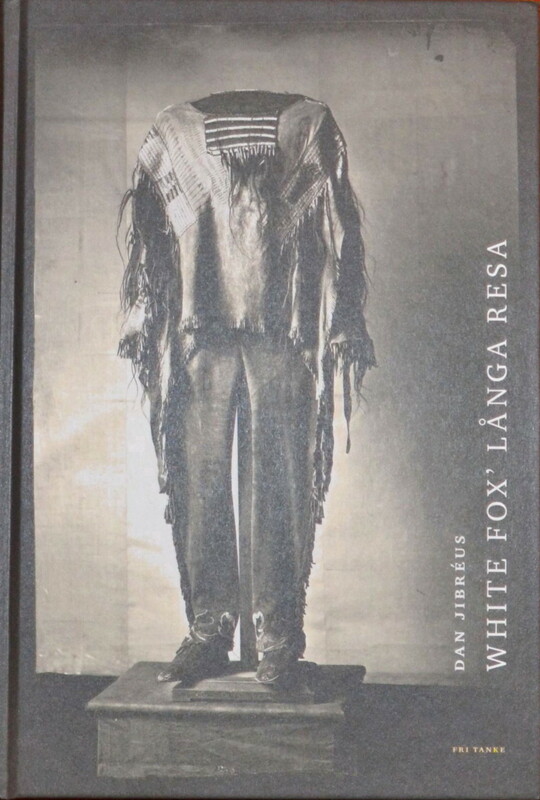 There is a carte-de-visite in the British Museum’s William Blackmore Collection of an individual named Ke-Wa-Ke-Ka-La, Little Box, which could be the same man, kiwakuupahat, Red Fox. White Fox age is given with 28, but there was an enlisted private with the same name in Company A, Pawnee Scouts, whose age at the time of his recruitment in 1864 was 24 yrs, so White Fox could have been in his mid thirties when he died. But these are perhaps insignificant and disputable details. Crystal clear is the historical fact of the post mortem treatment of White Fox’ body, which sheds a light on this early stage of anthropological and ethnological science, which at that time seems to have been a pitiless, sterile scientific spearhead (or better: probing needle) of imperialism, “White Race Supremacy” or Manifest Destiny, however it was called. Thank you for your comments, Baum. These are significant biographical details that you have shared with us. It sounds like you are doing some interesting and thorough research on Pawnee photos, and that you have put a lot of careful thinking into your work. I hope you continue with your project! Thx for your kind and encouraging words. Actually I’m working intermittently for more than two years on this study, and it was – and still is – tedious work. From an art-historical and ethnological point of view, every image offers a wealth of information (style and technique of the photography, posture, hairstyle, clothing, adornment etc. ), but from a historical perspective, many images are an enigmatic puzzle, because the informations on most Pawnee individuals are sparse, scattered and, more often than not, contradictory and incomplete. In this aspect some of your essays on your Floating Worlds website were already very helpful, especially your essays on two rather controversial figures of Pawnee history, Baptiste Bayhylle and Big Spotted Horse, works which offered me entirely new perspectives on these ambivalent personalities (which, in the case of the latter, I wholeheartedly share, but not in the case of the mixed-ethnic interpreter, here my historical assessment differs somehow). But, alas, there are many other individuals whose biographical details are as fleeting as the moments their portraits were taken, and that applies not only for less well-known individuals like e. g. the Pawnee Scout Blue Hawk, involved in the infamous McMurty murder trial, but also for prominent chiefs of that period like Piita Reesaaru’, Man Chief or the Skiri leader Eagle Chief, whose name is mentioned in historical sources and image inscriptions in an exasperating number of versions and variants. To put it in the words of a famous German photographer “In photography there are no shadows that cannot be illuminated.” I’m trying very hard to illuminate those shadows. I am curious. Why did White Eagle and John Box allow this to happen to White Fox? I would think that the Swedes would have respected their burial customs.